April | 2013 | Frozen Pizza, Again? I’ve been told these biscuits are better than the real thing. I haven’t done a side-by-side comparison, but I can tell you that the replicas are really, really good! Combine Bisquick with cheddar cheese, milk, 2 Tbsp melted butter, and ¼ tsp garlic powder in a medium bowl. Mix until well-combined. Splash with milk if dry. Drop approximately ¼ cup portions of dough onto an ungreased cookie sheet. Combine ¼ cup butter with ½ tsp garlic powder, parsley flakes and salt. Brush mixture over the tops of each unbaked biscuit. Set aside leftover melted butter. 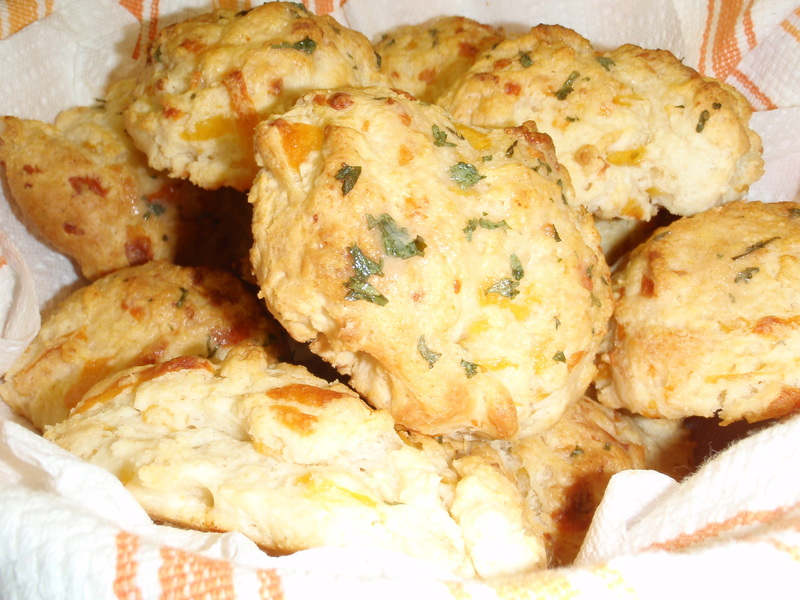 Bake for 12 – 14 minutes or until the tops of the biscuits begin to turn light brown. Remove from oven, and brush rest of melted butter on top of biscuits. Serve warm. 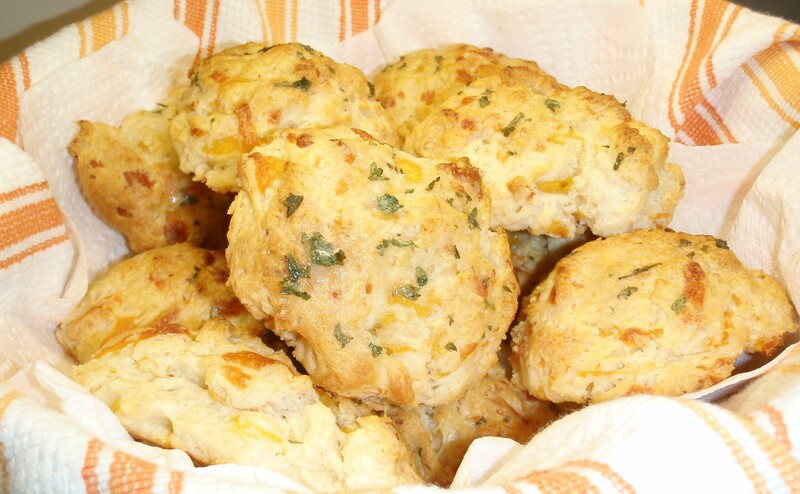 These biscuits would pair well with Sour Cream Noodle Bake or Baked Salmon with Browned Butter Sauce! I think this is one of the very first things I pinned after joining Pinterest over a year ago. Like many new people to Pinterest I pinned anything that looked remotely interesting so now my boards are littered with no-longer-interesting things. I recently decided to start at the bottom of my food board and work my way up, deleting recipes that no longer appeal to me and actually trying ones that do. I knew I had this recipe on my board but just kept skipping over it when making my meal plan for the week. Well, last week I finally decided to make it for dinner, and I am so glad that I did. It is delicious! I am seriously thinking about making it again this week because it was that good! Serve immediately over rice. Sprinkle crushed red pepper over the top to give it some spice. 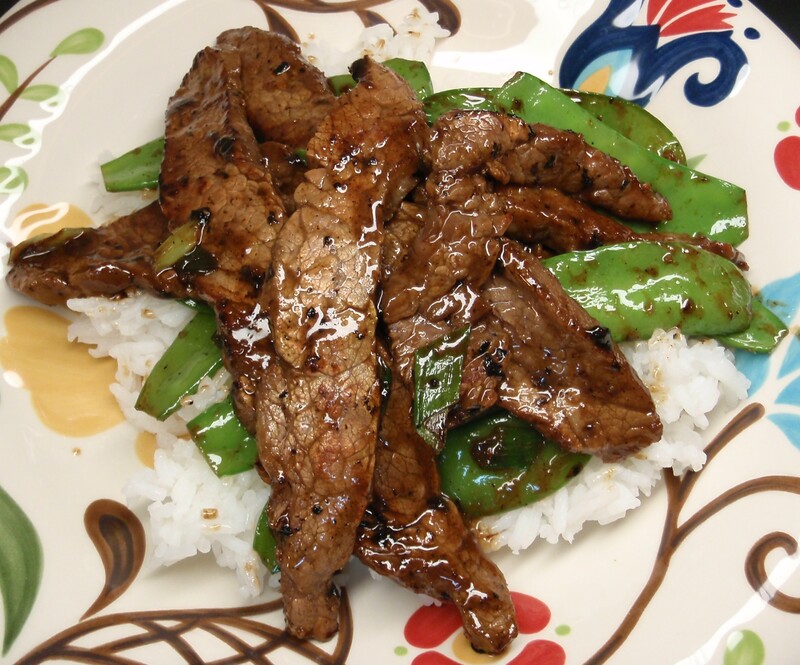 This is a really simple stir fry recipe that can be adapted in any number of ways: use chicken instead of beef, change up the vegetables, etc. Just make sure you let the pan get very hot before adding the ingredients! 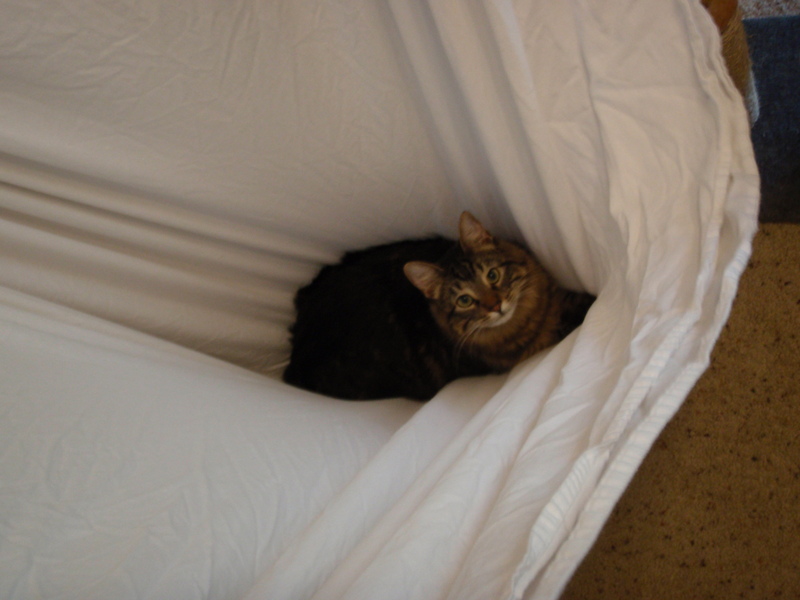 Tiger helped us fold the sheets. He did this by jumping off the bed into the middle of the sheet while we were holding it up between us. 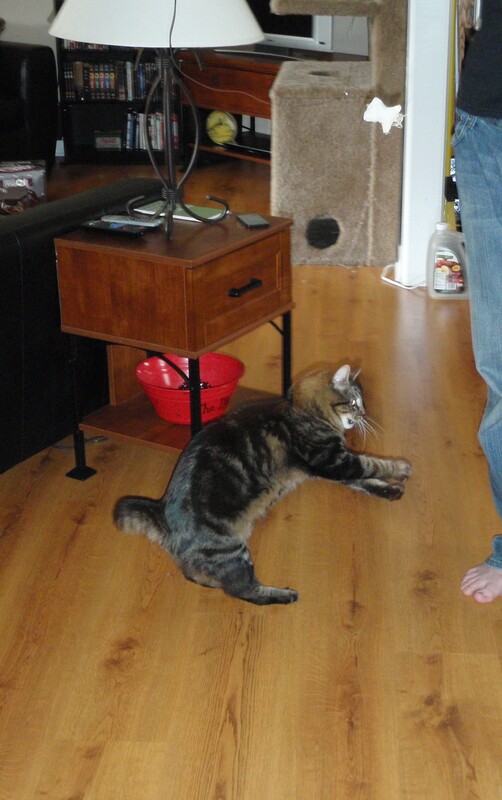 Thankfully we didn’t drop his chunkiness (he is ten whole chunks, ya know). This is my first successful tutorial! I have tried to make one for a couple other dishes, but I would forget to take pictures along the way. I don’t know how other bloggers make tutorials for every recipe. It’s a lot of work and hand washing! 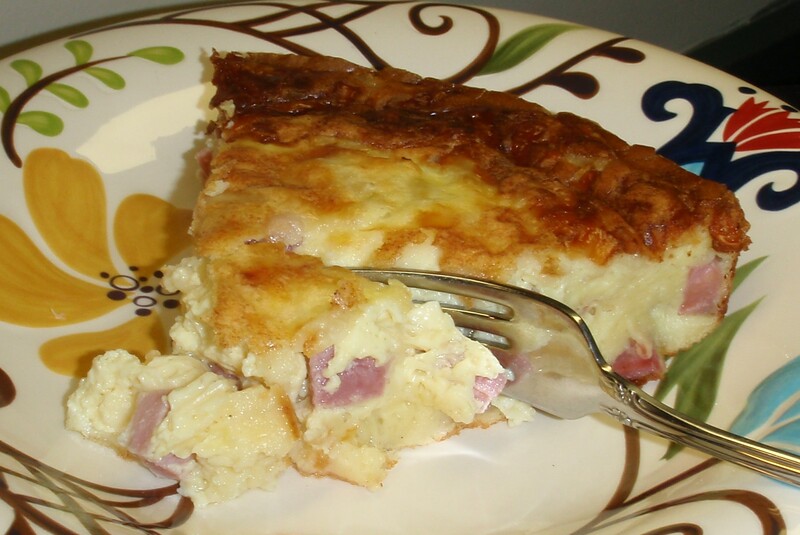 This dish is very similar to a crustless quiche, which make it great for either breakfast or dinner. It reheats well, so it could start out as dinner one evening then turn into breakfast the next morning (like mine did). Oh, and don’t let the name of this recipe fool you! 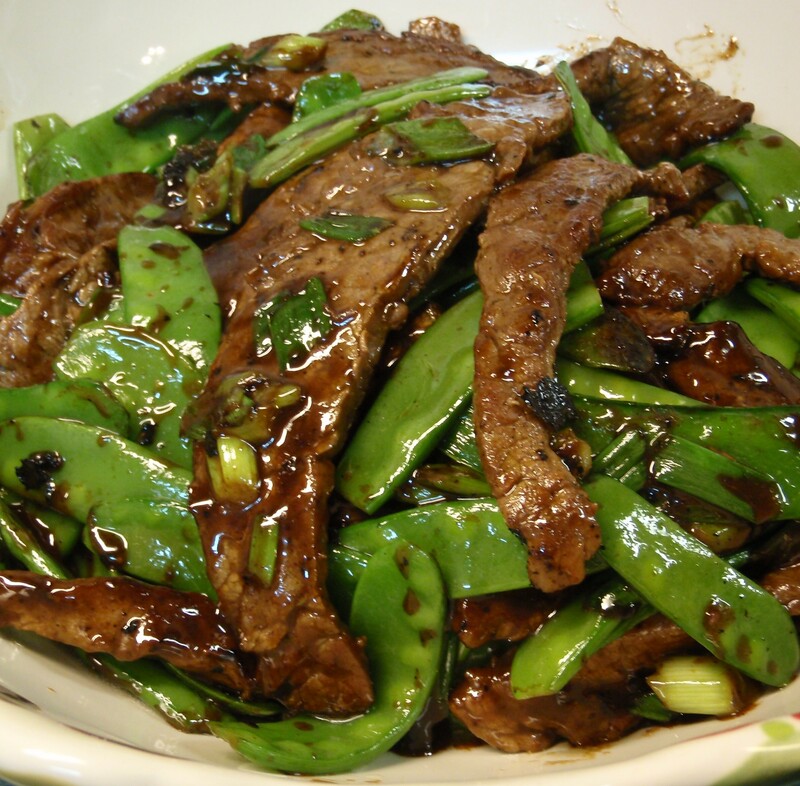 Despite its name this recipe is quite easy to prepare. Preheat oven to 400°F. 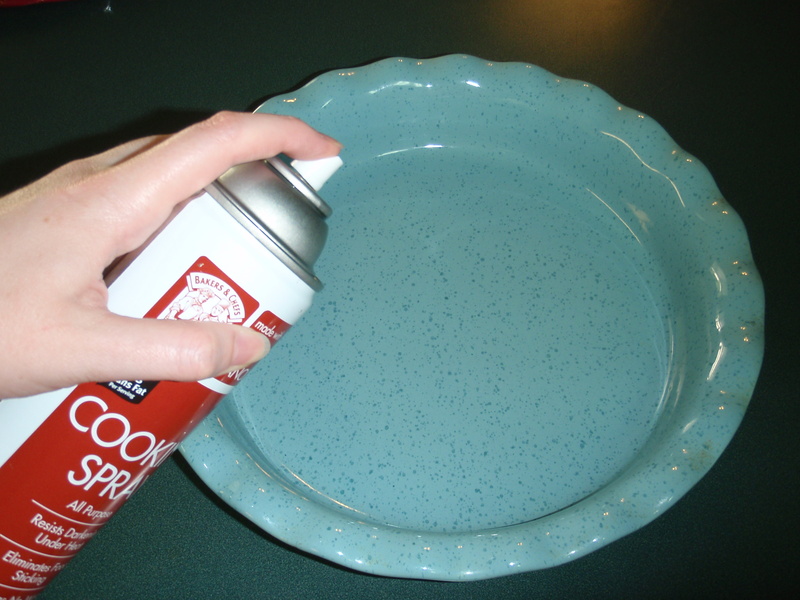 Coat a 10×1 ½ inch pie plate with non-stick cooking spray. 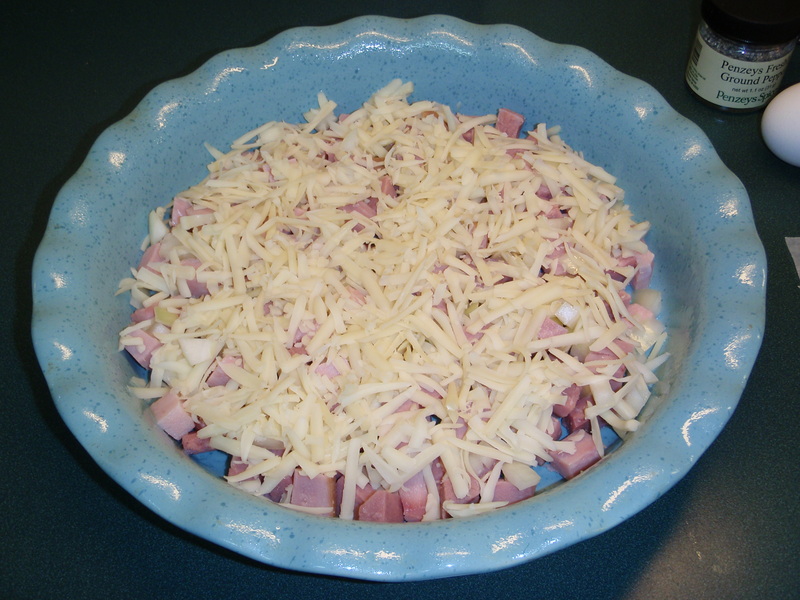 Sprinkle ham, cheese, and onion into dish. Bake 35-40 minutes, until golden brown and knife inserted in center comes out clean. Let set for 5-10 minutes before serving. Preheat oven to 400°F. 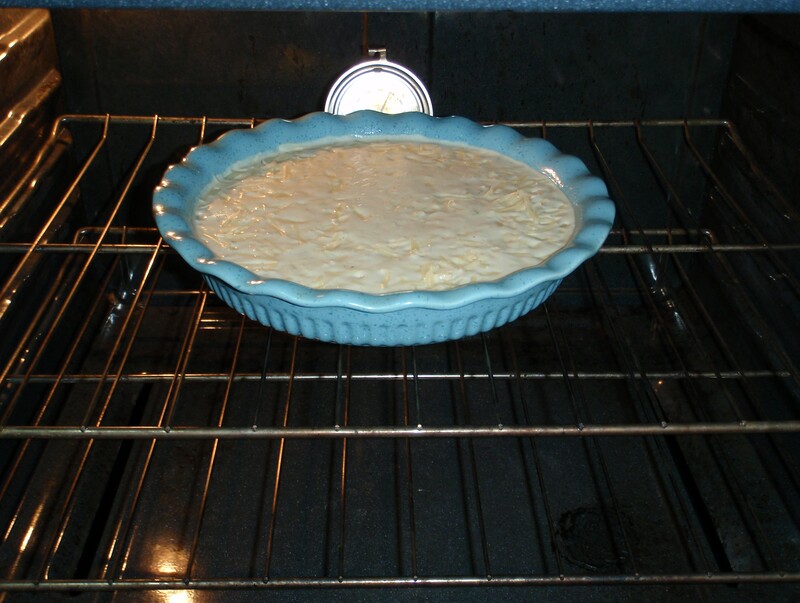 Coat a 10×1 ½ inch pie plate with non-stick cooking spray. 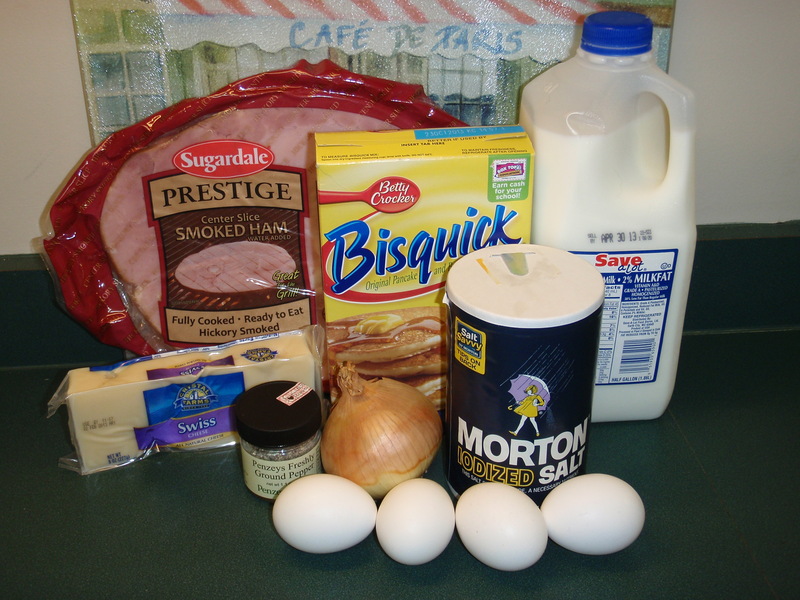 Sprinkle ham, cheese, and onion into dish. 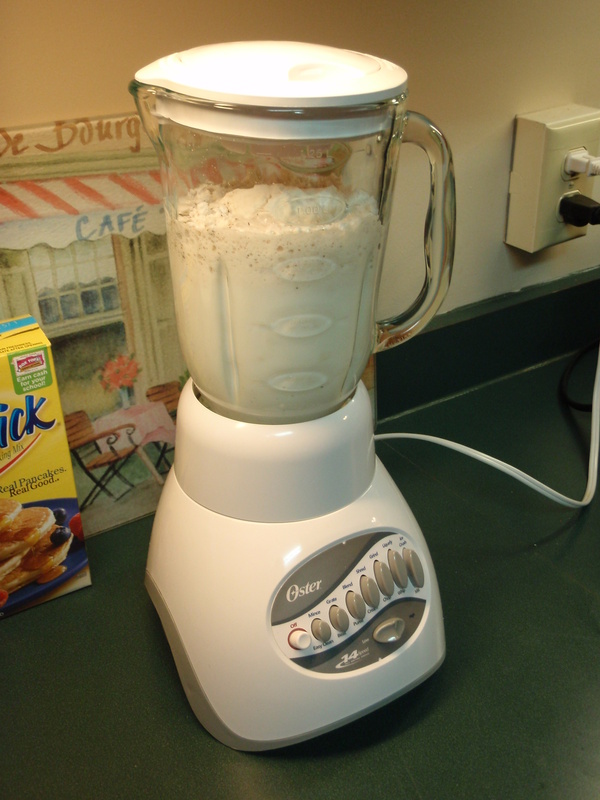 Beat remaining ingredients until smooth – 15 seconds in blender on high or 1 minute with hand beater. Pour into dish. Bake 35-40 minutes, until golden brown and knife inserted in center comes out clean. Let set for 5-10 minutes before serving. 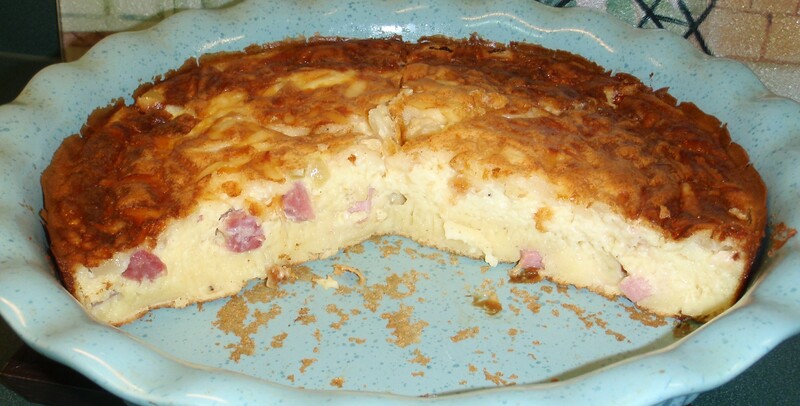 This dish is similar to a quiche in both texture and appearance. When you take the pie out of the oven it will not look done, due to the swiss cheese. As long as it is not runny/liquidy when you insert a knife or toothpick it is completely cooked. The pie will set as it cools. My MIL recommends letting the top get brown and crispy before taking the pie out of the oven to act as a sort of crust. Russell liked this dish so much that he ate the leftovers several meals in a row! One great thing about this recipe is that you don’t have to thaw the hash browns before baking, which makes it a super easy dish that you can throw together in less than 10 mins and then let the oven do the rest. 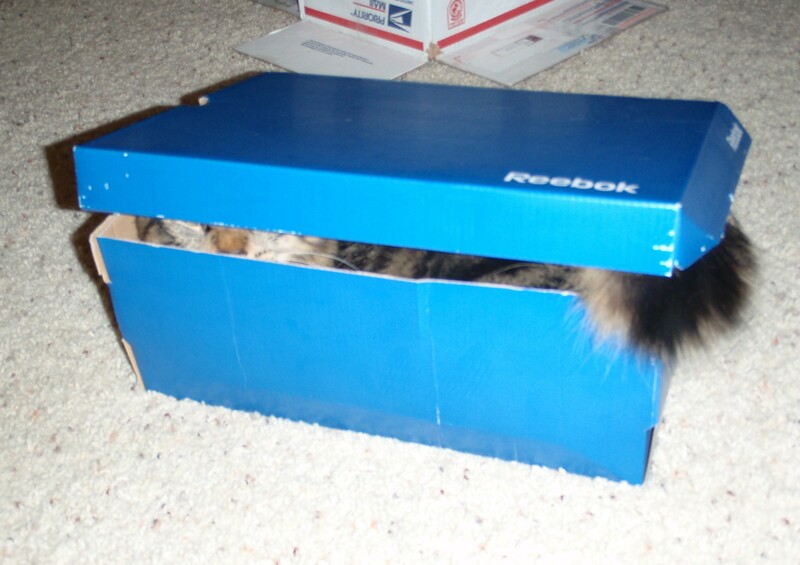 Preheat oven to 350°F. Spray a 9”x13” baking dish with non-stick cooking spray. 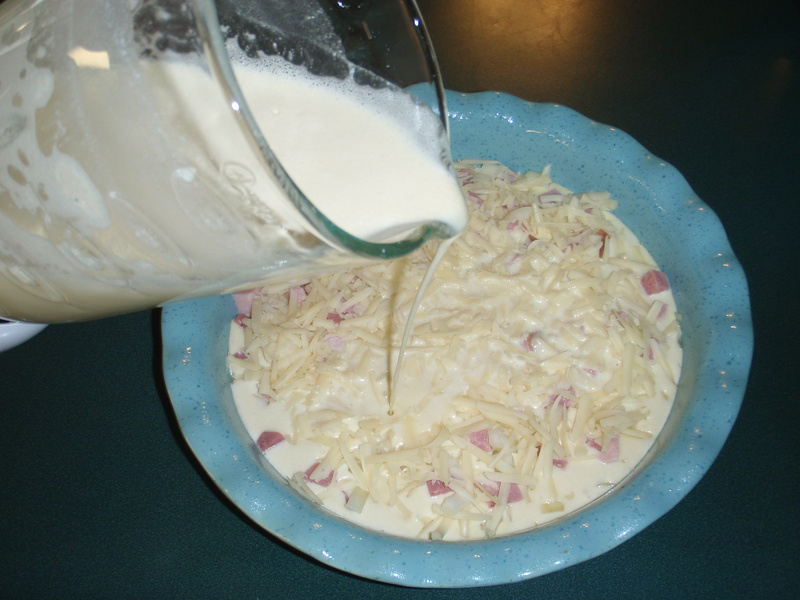 In a large bowl mix together both cans of soup, sour cream, onion, and 1 ½ cups of shredded cheese. Mix together well. Season with salt and pepper. 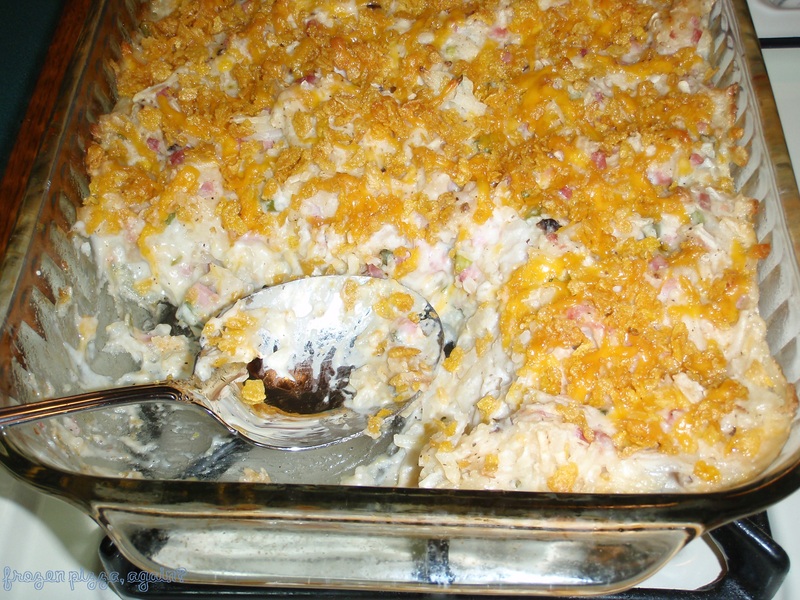 Add in frozen hash browns and chopped ham (if using), and mix together well. Pour mixture into prepared baking dish. 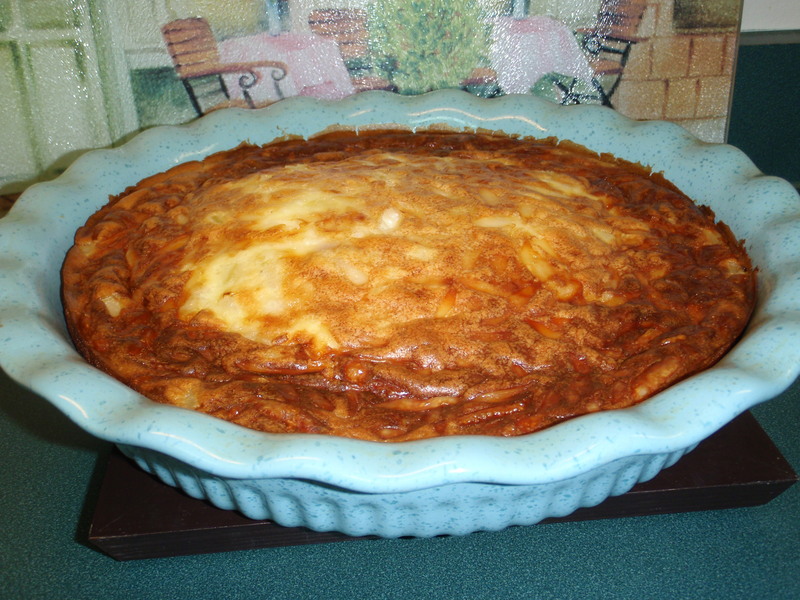 While potatoes are baking mix together corn flakes, butter and remaining ½ cup of shredded cheese. Set aside. 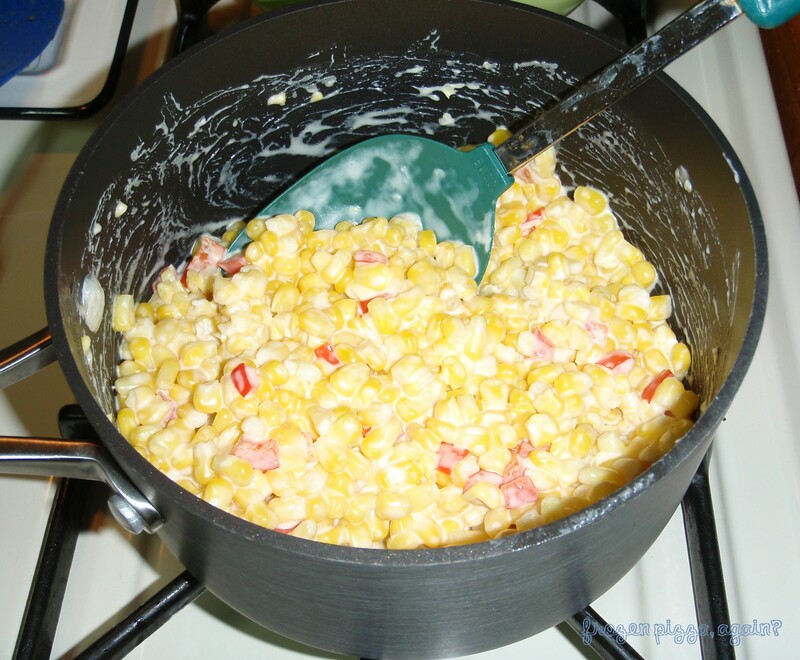 When potatoes are done, remove from oven and sprinkle the top evenly with the corn flake mixture. Place back into oven and bake another 15 minutes or until top is golden and bubbly. Let stand 5-10 minutes before serving. The next time I make this I will double the topping for an added crunch. Maybe also add some water chestnuts or sliced almonds to counter the soft texture of the potatoes. If you use both green onions and ham they add a nice color contrast to the potatoes, as you can see in my photos. 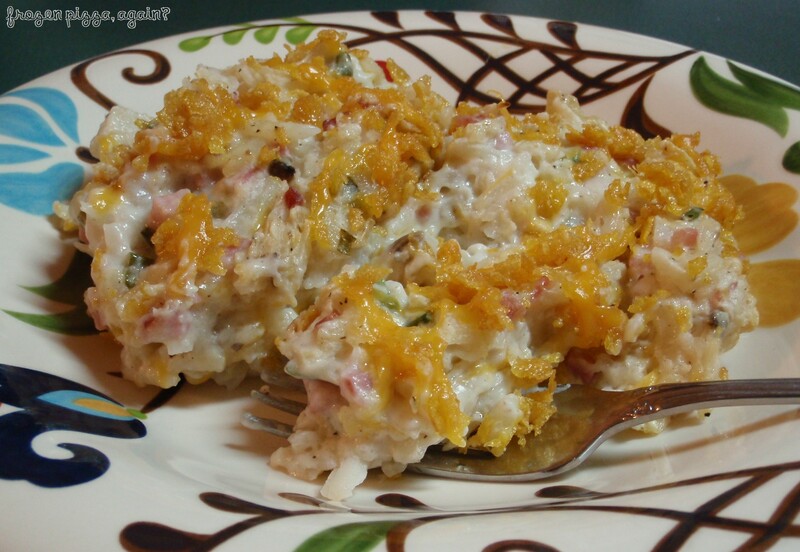 This is a super easy side dish that got two thumbs up from Russell. The original recipe did not call for red bell pepper, but I added it for a bit of color. I forgot to add the black pepper and red pepper before snapping a photo, which is why you don’t see it here. 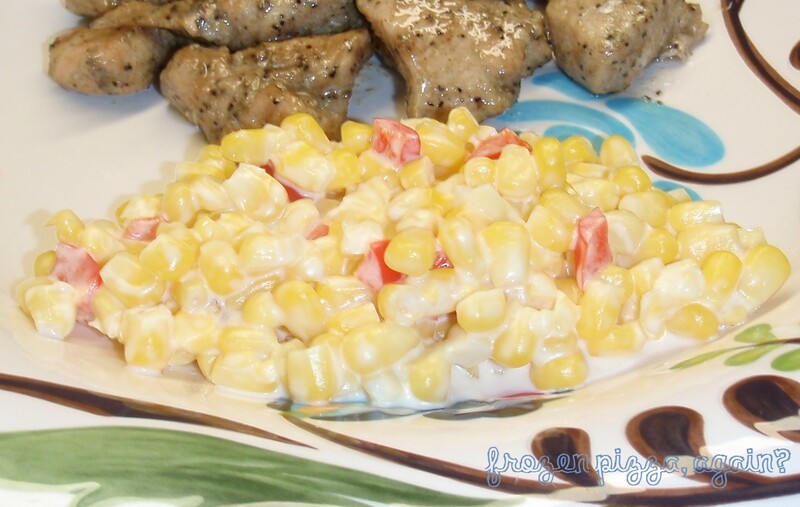 In a medium saucepan combine corn, bell pepper, butter, and cream cheese. When cream cheese is melted and everything is heated through, season with black pepper and red pepper flakes. Serve warm.